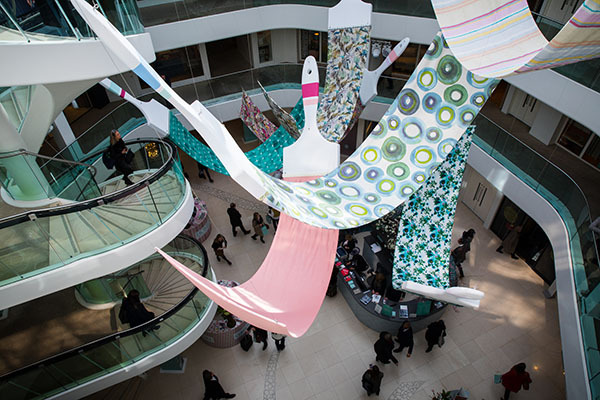 A celebration of creative collaboration, Legends at Design Centre, Chelsea Harbour saw tastemakers from the realms of design, decoration, art, fashion and architecture team up with showrooms to create some simply legendary displays for London Design Week 2018. Watch the highlights here. “It’s all about touch and feel; you just have to be there and see it for yourself,” says Firmdale Hotels’ creative director about Design Centre, Chelsea Harbour. London Design Week 2018 celebrated a rising spirit of individuality and creative expression. Inspired by this season’s new collections – playful, bold and unapologetic – the show was a remarkably dynamic snapshot of global design. The Canvas of Creativity installation, filling the Centre Dome with giant paintbrushes trailing swoops of fabric, encapsulated the daring, layered approach to decor that is in the ascent. The showrooms followed suit with equally stimulating displays, with decorated vignettes that make it easy to imagine them transposed into real-life settings; many of them, such as Taylor Howes’ window for Evitavonni and Tufenkian Artisan Carpets’ collaboration with Lucia Caballero, were part of the ‘Legends’ initiative, which saw leading designers and other tastemakers collaborate with individual showrooms. 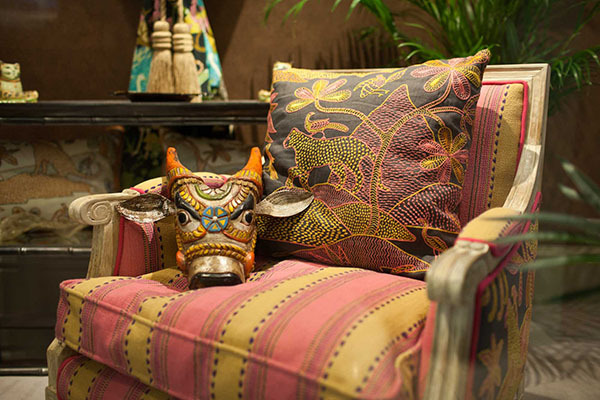 Key influencers, established makers and luxury brands came together to celebrate interiors that brim with personality, reflecting who we are and what we like. 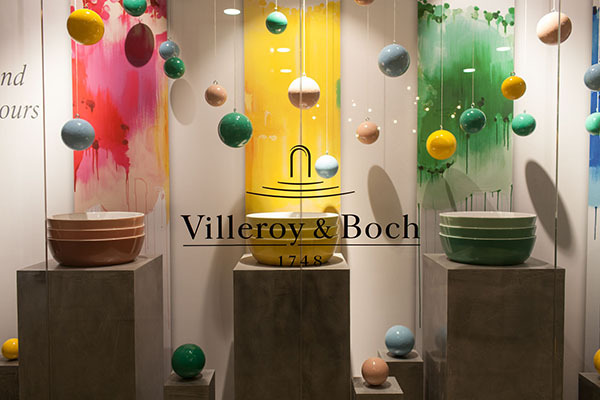 That might mean an injection of colour into unexpected places, such as brightly-hued basins at Villeroy & Boch; fabric and wallpaper collections inspired by every corner of the world, from Rajastani turban makers at Zimmer + Rohde to tribal motifs at Romo; and exciting, innovative finishes on furniture and lighting. Craftsmanship – and the importance of developing a narrative to demonstrate the value of artisan products – was a key theme, explored across showroom talks and hands-on workshops, as well as in the Conversations in Design Series, thanks to esteemed speakers such as Kit Kemp, Lord Snowdon and Sophie Ashby. As Design Centre, Chelsea Harbour continues to grow and evolve, promoting and supporting the design world, it is also pushing the industry forward with its singular, confident vision. London Design Week 2018 was the fearless expression of that vision. The London Design Week 2018 party got into full swing when the biggest names in design came together for a legendary evening. Celebrating the brightest talent at spring’s unmissable interiors event, international A-listers mingled with industry insiders over Moscow Mules and lychee martinis beneath a revolving sign in bright pink neon. Dazzling conversation and plenty of colourful light effects using cutting-edge LED technology kept everyone entertained before Ella Durston took to the decks for a live DJ set. “There is everything here – so we’re here often,” says the co-founder of Maddux Creative on Design Centre, Chelsea Harbour.